Dr. Sheikh did his M.Sc in zoology in 1999 from University of the Punjab, Lahore and secured first class first position in the University. He was awarded Dr Muzzafar Ahmad Gold medal, Sir William Roberts Gold medal and University of the Punjab Gold Medal for outstanding performance. 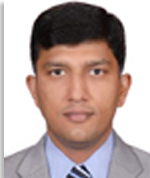 He joined the department on February 2001 as a lecturer in Zoology. In October 2003, he was awarded scholarship by Deutsche Forschungsgemeinschaft (DFG) for higher studies leading to PhD in Georg-August-University, Göttingen, Germany. He was successful to finish his PhD quite fast in 2 years and 8 months. During his PhD he has published three research papers in renowned Journals of the world. His field of specialization is Cellular, Molecular and clinical biology of internal organs especially iron regulation during inflammation, hepatic injury, regeneration and iron overload conditions. In 2008 he was awarded Charles Wallace trust fellowship to visit Imperial College London for one month. In 2009 he was awarded HEC postdoctoral fellowship to work in Brain Tumor Research Center of Harvard Medical School at Harvard University (USA). He was involved in a project entitled Oncocytic Herpes Simples Virus vectors expressing therapertie transgenes for the treatment of neurofibromatosis type1 (NF1) and GL10-blastoma (GBM) tumors.